For use with Model D and E Indoor Rowers. This item includes one 8' 4" long nickel plated chain with a brass swivel at the handle end and chain connector for the inside end. It also includes a 14 tooth sprocket (compatible with Model D and E Indoor Rowers only) for the flywheel axle. 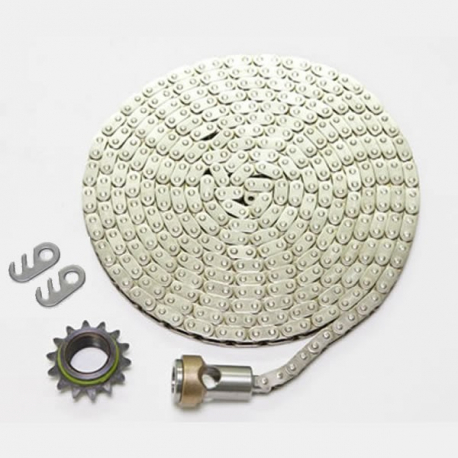 If you need to replace both the chain and sprocket, this is the part number to purchase. See more info. We also recommend purchasing part number 220 (Flywheel Cog Tool), which will help you remove your old sprocket from the axle. Please contact us if you need help determining whether you need to replace both the chain and sprocket or just the chain. 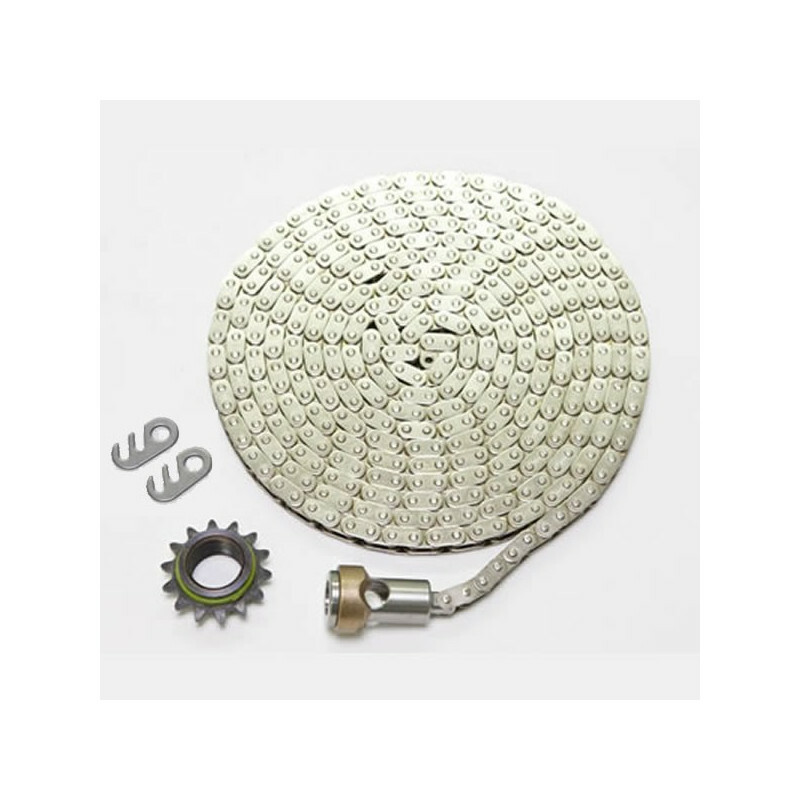 If you need to replace just the chain on your Model C, D or E Indoor Rower, order part number 1941 instead.